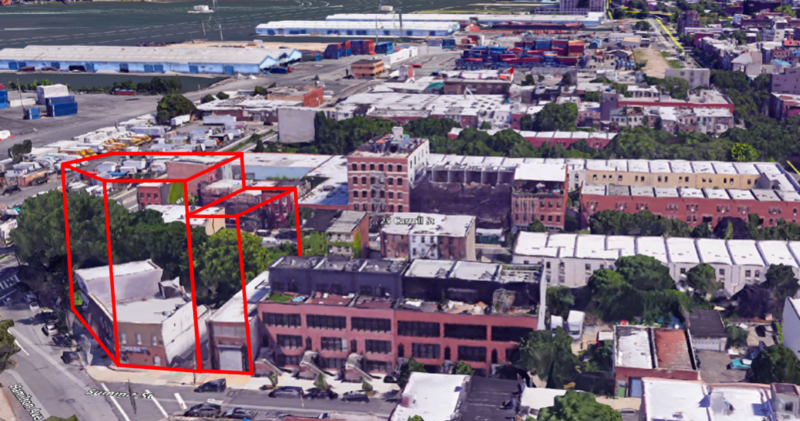 COLUMBIA STREET WATERFRONT – The developer proposing to upzone 41 Summit Street and two adjacent sites on Hamilton Avenue withdrew the ULURP application prior to the NYC City Council subcommittee vote scheduled for Tuesday, April 2. “After much listening and consideration, especially from board members and residents of Community Board 6, I concluded that the developer’s proposal for 41 Summit Street simply did not have sufficient public benefit to merit its impacts, which is why I was recommending a ‘no’ vote to the land use subcommittee, which resulted in the applicant withdrawing the proposal,” Council Member Brad Lander said in a statement released yesterday. “The proposed building included zero affordable housing, on-site or off. Meanwhile, the application would have allowed buildings that were three times the height of the existing buildings on the same block, and that blocked sunlight to a long-time community garden,” the Council Member continued. The owner of 41 Summit Street filed a ULURP (Uniform Land Use Review Procedure) zoning map amendment application requesting to change zoning for that parcel, as well as two adjacent parcels (75 and 79 Hamilton Avenue), from an M1-1 zoning district (light manufacturing) to an R7A (medium-density residential) / C2-4 (commercial overlay) district which would have allowed for the development of a mixed-use structure that could have risen as tall as nine stories. Community Board 6 voted against the project in November. Brooklyn Borough President Eric Adams, as well as a group of neighbors opposing the development, felt that R7A zoning was too high and out of context with the low-rise neighborhood and requested that it be scaled down to R6B—to keep the building height consistent with the neighborhood. The NYC Department of City Planning (DCP) amended the zoning request from R7A to R6A which would have allowed for eight-story buildings. The City Planning Commission voted to approve the R6A zoning for the project on February 27. Though a seven story structure was originally proposed for 41 Summit, a representative for the developer revealed during the City Council Subcommittee on Zoning & Franchises hearing last month that the plans had changed to erect a five story building. During the subcommittee hearing, Council Member Lander repeatedly questioned the representative about the public benefits the project would offer. When the representative replied that the project would provide additional housing units instead of “potential noxious commercial sites,” Lander shot back saying that the developer’s argument for R6A zoning was “poor” and that the only “benefit” the rezoning would provide the neighborhood would be additional market rate apartments with no guarantee of any affordable housing units. “We need more affordable housing in the Columbia Waterfront neighborhood, and throughout our community, and I will keep working with neighbors to find opportunities to build and preserve it,” Lander said in the statement announcing the developer’s ULURP withdrawal. “Together, as we are working toward the community planning for the Gowanus neighborhood rezoning nearby, we can find thoughtfully-planned, inclusive, mixed-income development that we can say ‘yes’ to,” he added. “Columbia Waterfront Neighbors supports Council Member Brad Lander’s commitment to affordable housing, and we appreciated his comments at the subcommittee’s hearing with regard to this application. We applaud his decision to reject a proposal that had zero community benefits,” Anthony Bradfield and Katarina Jerinic said in a joint statement. The two locals helped coordinate the Columbia Waterfront Neighbors group to rally against the upzoning.